How to watch tv on an elliptical machine? When I wrote about my crosstrainer, did I mention how boring it is? I'm sure I did. Because it's hard to forget that kind of boredom. But the thing is: my elliptical trainer is on our balcony. It was the only place I could put it. And there's no tv on our balcony. Luckily my husband got a lovely tablet from work, and I may be able to use that. Handy device to put your tablet/iPad on your crosstrainer? But where do I put the tablet? 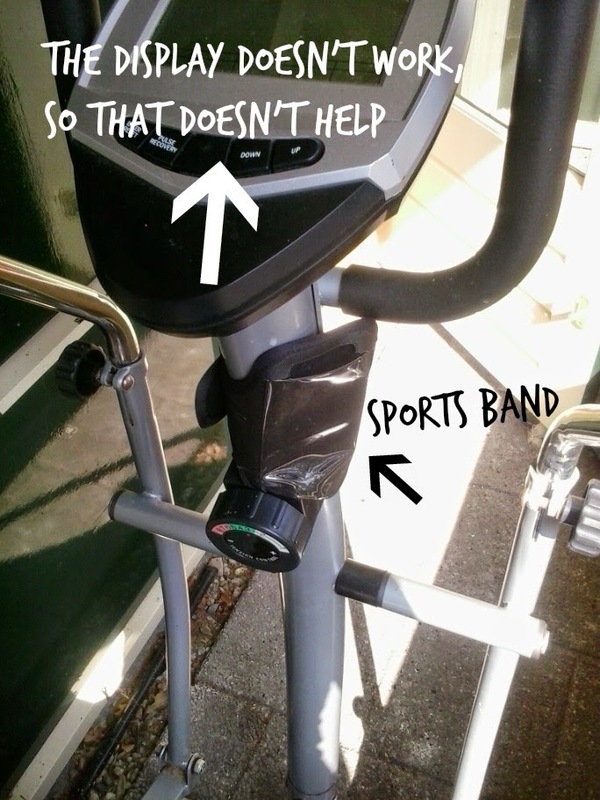 I did some research on the internet trying to find out if anyone has invented a handy device you can clip on your elliptical machine, that can hold an iPad or tablet. But no such luck. So I was kind of hoping someone might know a solution! If you do, please share it in the comment section underneath this post. Luckily I háve managed to find a way to listen to music while I'm on the elliptical machine. I had a sports band that was too wide for my arm. And I attached that around my elliptical machine. So now I can listen to songs about widows with kids without legs who drink too much and know there are people out there who've got it worse than I do on that crosstrainer. How do you cope with feelings of boredom on elliptical machines and treadmills? I try to mix it up. Try to do intervals where you push hard for a couple of minutes and then recoup for a minute. It keeps you interested for longer. Try this elliptical workout I made. You do all sorts of different things so you don't get bored.